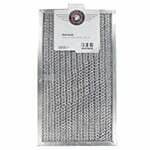 The Quality Filters MW20251 Washable Reusable Metal Filter is designed for a wide range of applications. 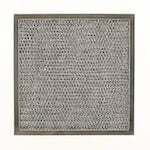 The Quality Filters MW24241 Washable Reusable Metal Filter is designed for a wide range of applications. 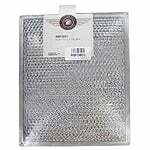 The NuTone 65893-000 Compatible Winged Microwave Filter is used in ducted range hoods to remove grease from kitchen air. The Thermador 19-08-253 Compatible Wing Range Hood Filter is made with an aluminum frame that surrounds layers of expanded aluminum and aluminum foil. The American Metal Filter RWF1602 Winged Grease Filter is made with an aluminum frame that surrounds layers of expanded aluminum and aluminum foil. The American Metal RHF0201 Aluminum Grease Filter is a standard range hood filter that removes grease from kitchen air. 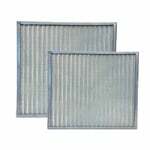 Imperial Cal G-4902 Compatible Range Hood Grease Filter is washable to help extend the life of the filter. It is a compatible replacement for the American Metal RHF0201. 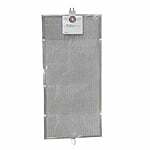 The American Metal Filter RHF0502 Grease Range Filter is a grease elimination filter used in ducted and ductless range hoods, along with over the counter microwave ovens. The NuTone 27140-000 Compatible Grease Range Hood Filter is constructed with an aluminum frame surrounding layers of expanded aluminum and aluminum foil and is washable for extending the life of the filter. 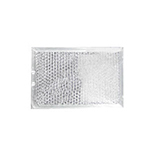 The Maycor 57001104 Aluminum Microwave Range Filter is constructed with an aluminum frame surrounding layers of expanded aluminum and aluminum foil and is washable for extending the life of the filter. 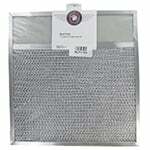 The American Metal Filter RHF0507 Grease Air Filter is constructed with an aluminum frame surrounding layers of expanded aluminum and aluminum foil and is washable for extending the life of the filter. The American Metal RHF0512 Range Hood Filter is constructed with an aluminum frame surrounding layers of expanded aluminum and aluminum foil. 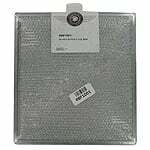 The AMF RHF0512 Replacement for Whirlpool 4358030 Grease Filter is a compatible range hood filter made by American Metal Filter Company that used in ducted and ductless range hoods, along with over the counter microwave ovens. 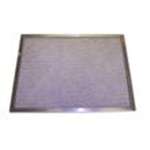 The American Metal Filter RHF0513 Range Hood Filter is a grease elimination filter that is washable for extending the life of the filter. 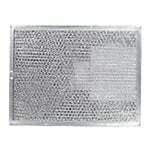 The RangeAire 610014 Compatible Grease Microwave Air Filter is a grease elimination air filter that is washable.